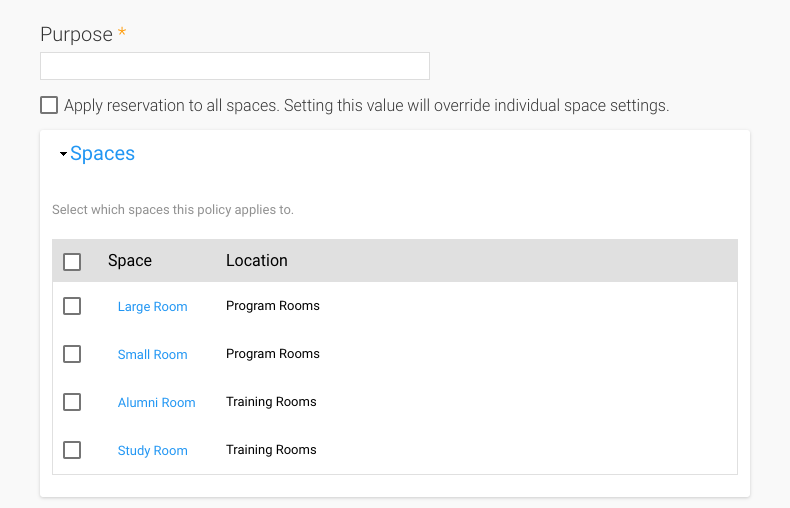 Students and/or patrons can reserve your study rooms, meeting rooms, and classrooms with Room Bookings in Stacks. 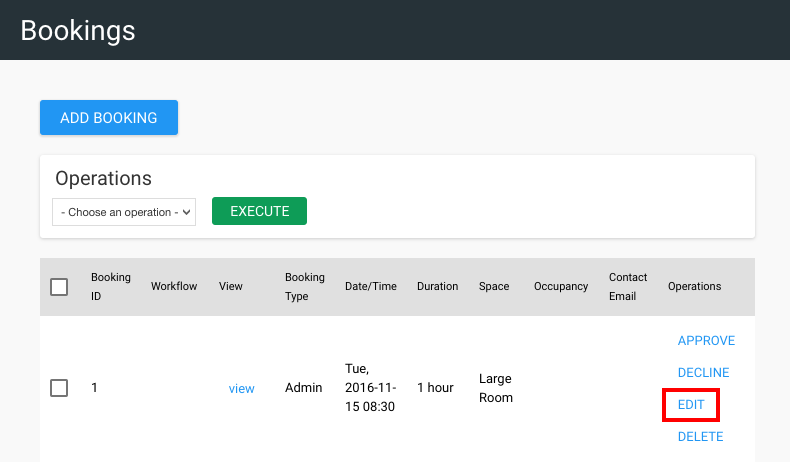 Manage rooms, groups, room categories, and bookings using the Room Bookings tool. 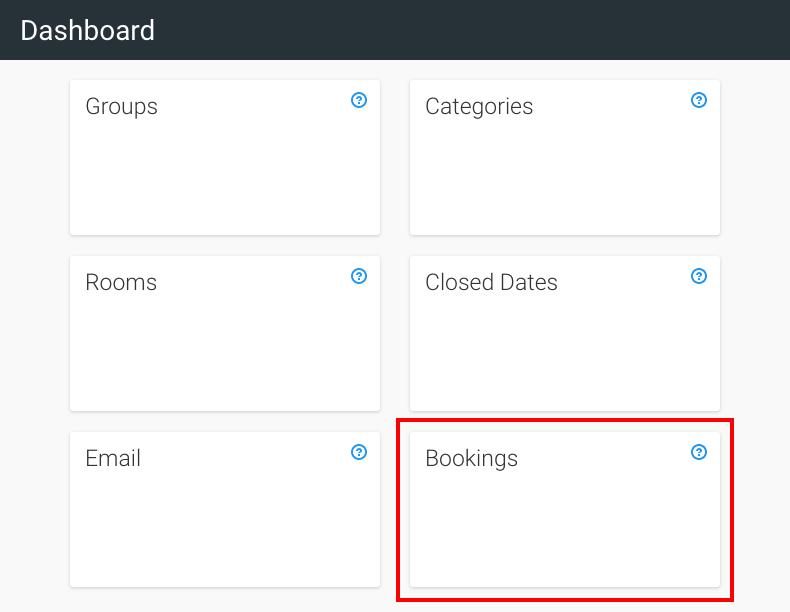 By default, Stacks treats all bookings as ‘approved’ unless expressly declined by a staff member. 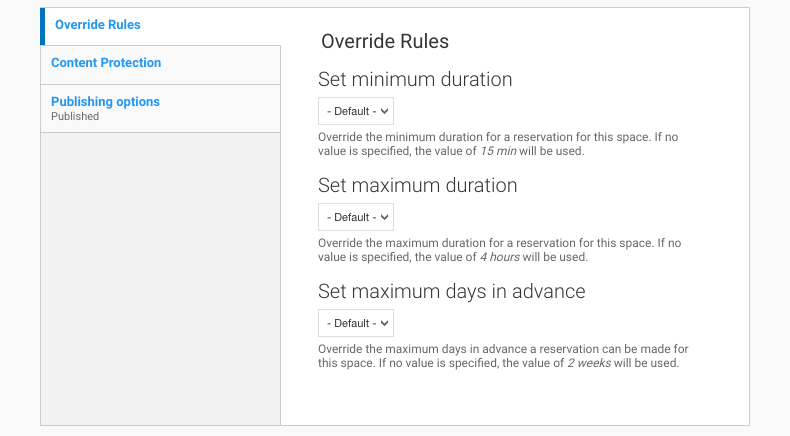 As such, the user will receive a confirmation email, and the room time slot will no longer appear as available immediately upon the user clicking Book Room. 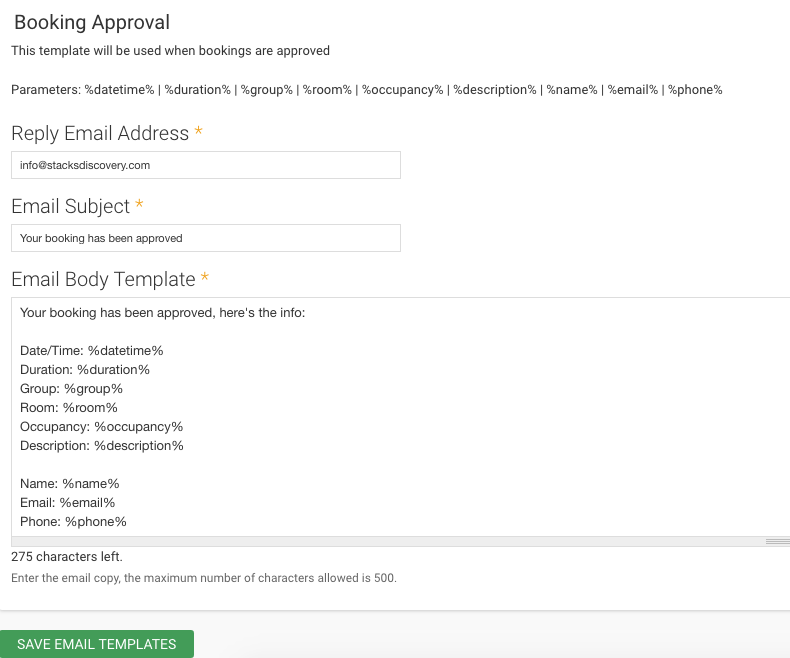 Any Bookings not yet approved or declined will be set as Pending. 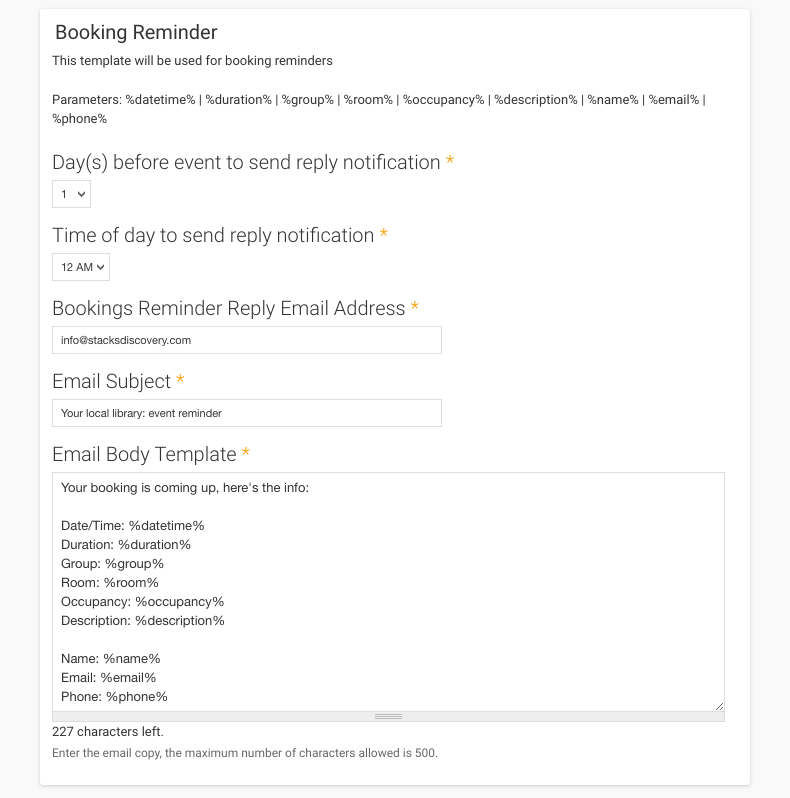 ​​​​​​IF the Booking is deleted, the reserved time will once again be available. 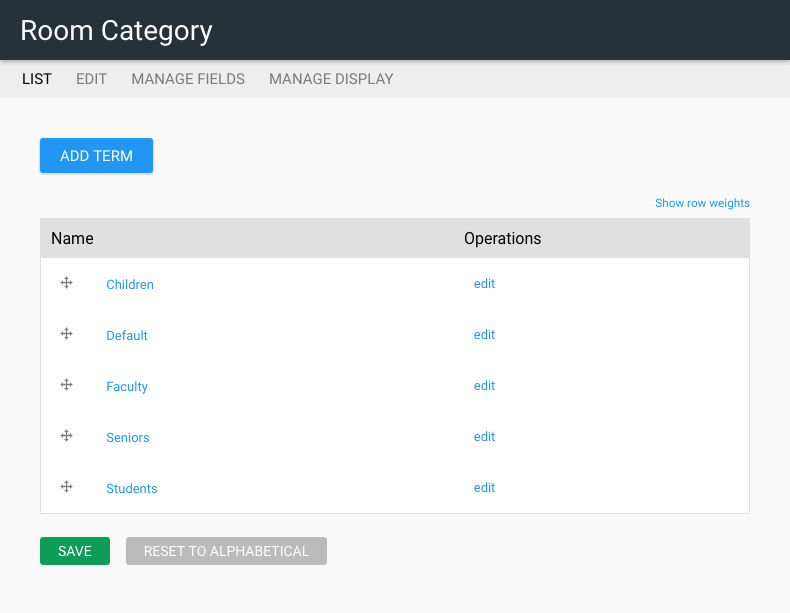 If this icon is not visible, you can enable it by navigating to the Systems Configuration tile and opening the Site Configuration tile. 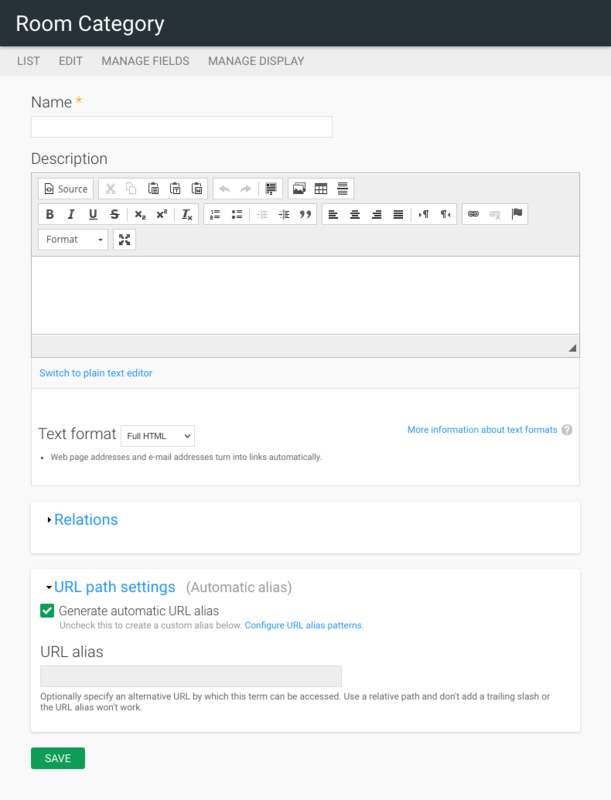 Click on the Header Items tab to toggle on the header icons. A Room can be booked by staff for internal programs or events such as staff meetings or professional development. 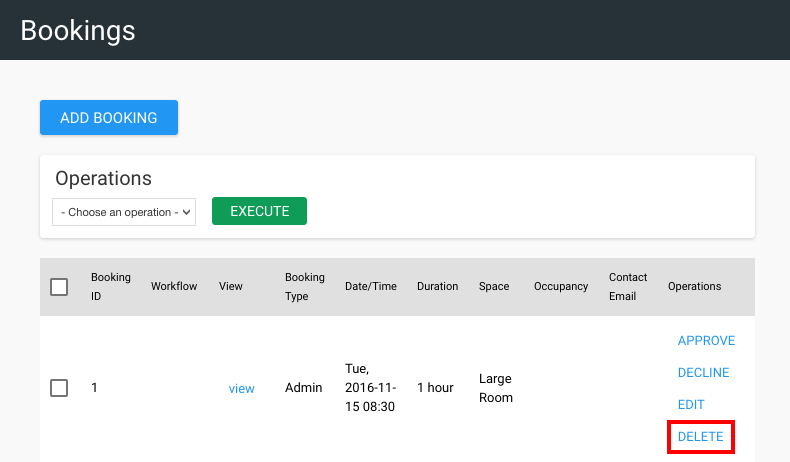 A Room can be described as any space which might be booked by either users or administrators. When defining a Room, these spaces can be of any size and shape, such as a small communal work table or a large presentation hall. How many people can the room/space hold? This could include instructions for the use of the space, photos, a list of related resources, etc. 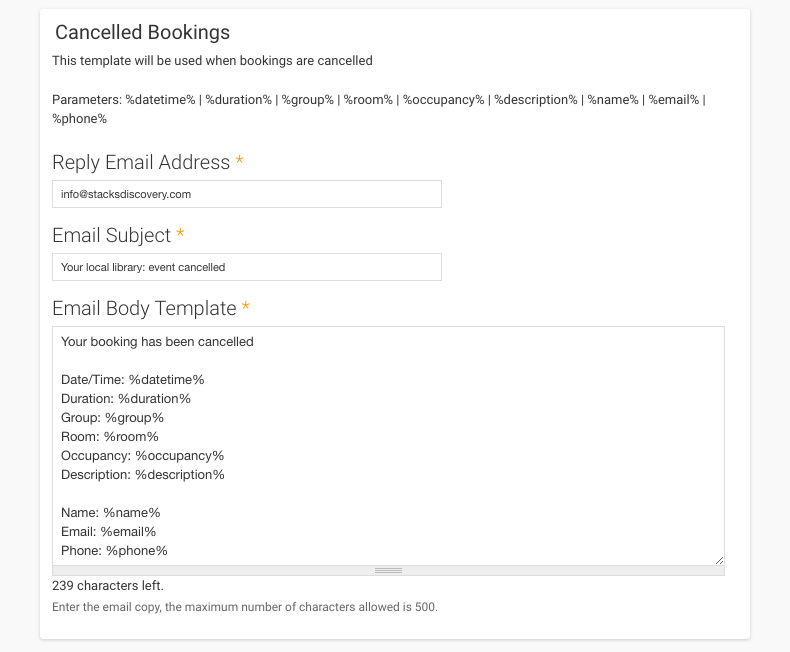 Configure the templates for emails sent: New Bookings, Cancelled Bookings, Booking Reminders, and Booking Approvals. 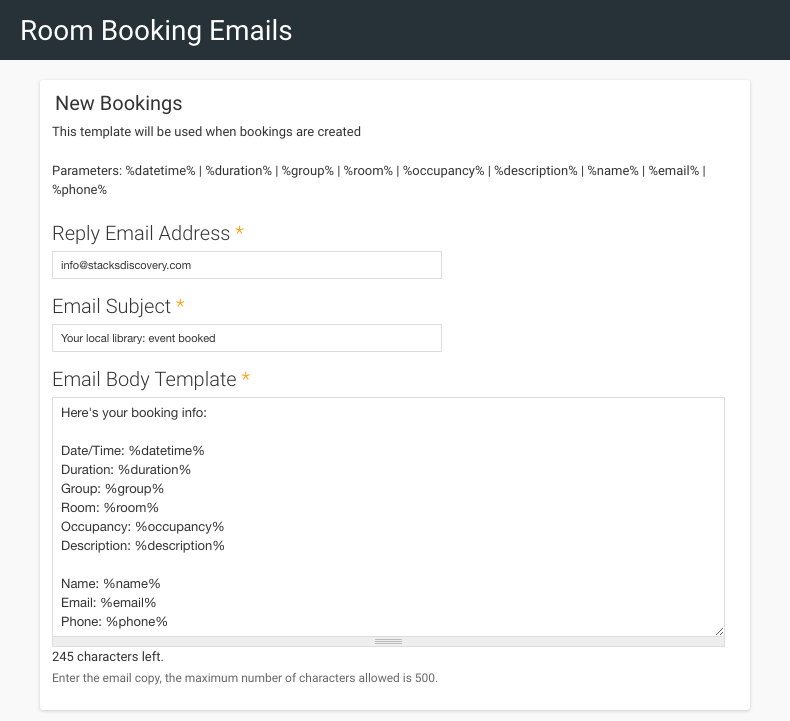 When a staff member approves a Room Booking, this email will be sent to the user who booked the room. 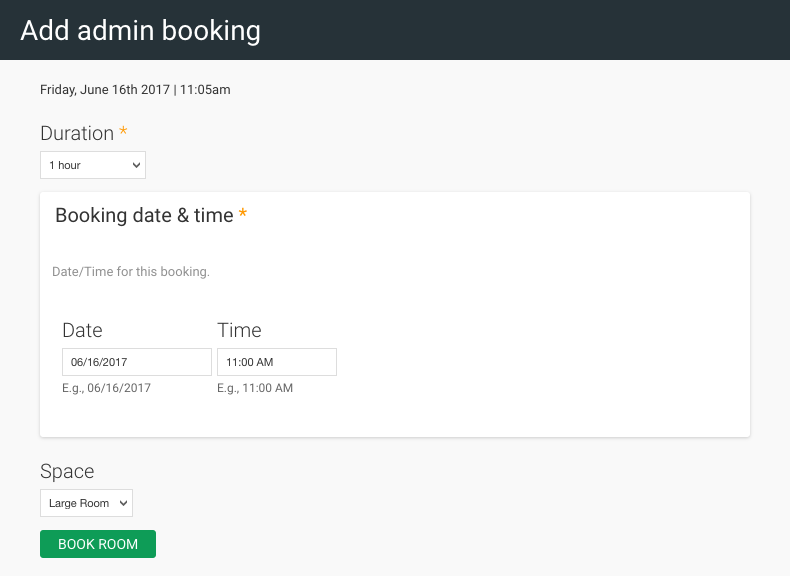 You can set dates during which room bookings are not permitted. Closed dates may be set on a Room-by-Room basis or can be applied to all of your organization’s Rooms at once. Example: You may choose to have rooms not available during holiday break starting December 25th. 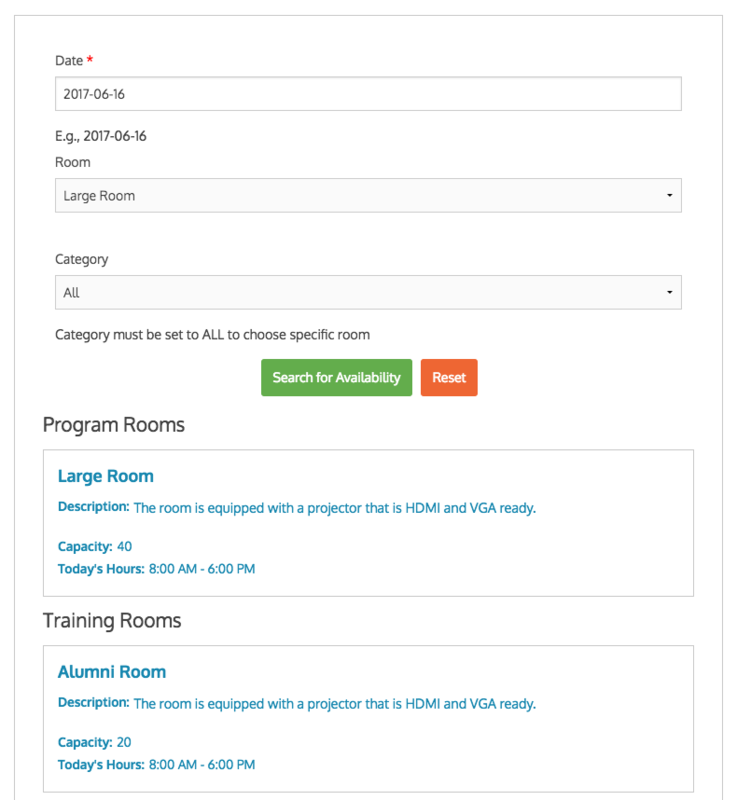 Groups can be used to logically group similar rooms. 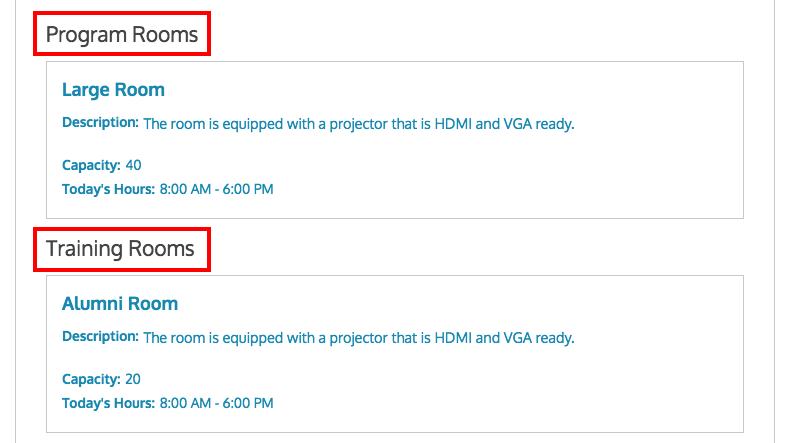 This can be helpful when managing many rooms (e.g. Study Rooms). 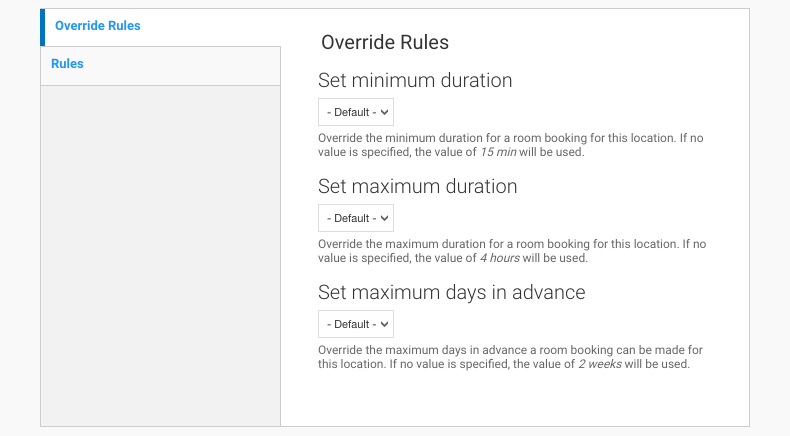 Minimum duration - The minimum duration for a room booking for this location. If no value is specified, the value of 15 min will be used. Maximum duration - The maximum duration for a room booking for this location. 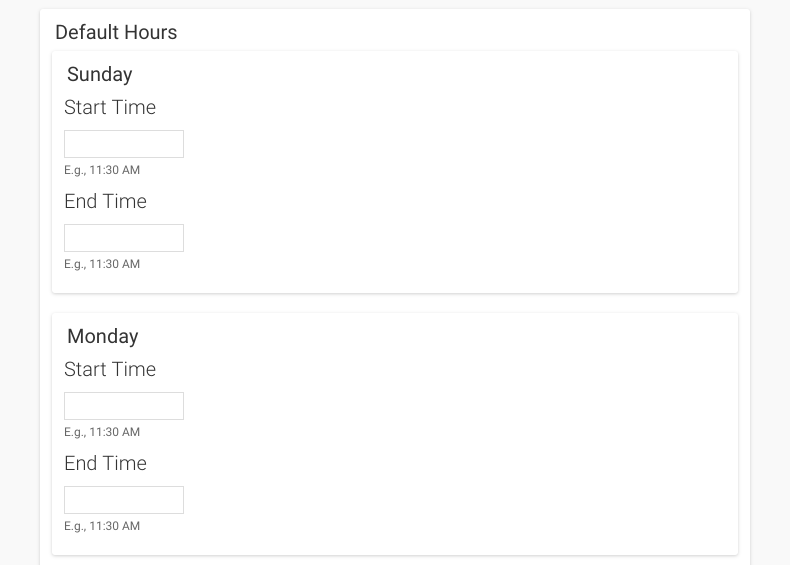 If no value is specified, the value of 4 hours will be used. 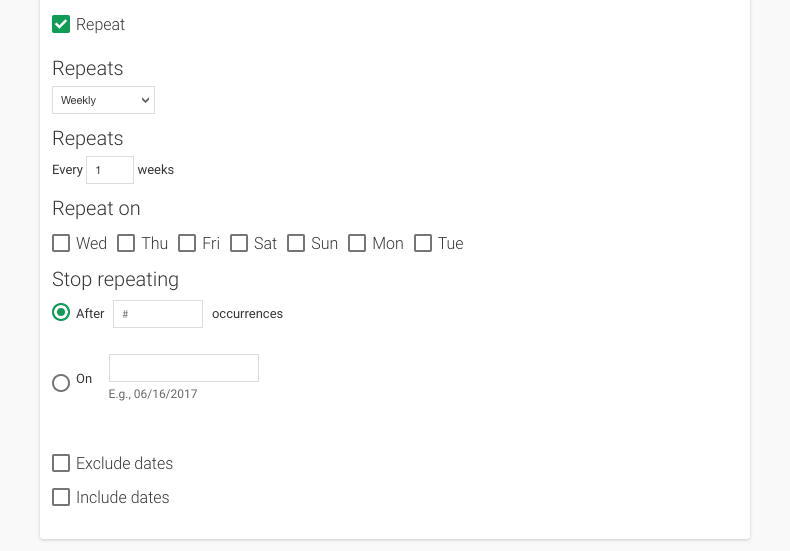 Maximum days in advance - The maximum days in advance a room booking can be made for this location. If no value is specified, the value of 2 weeks will be used. 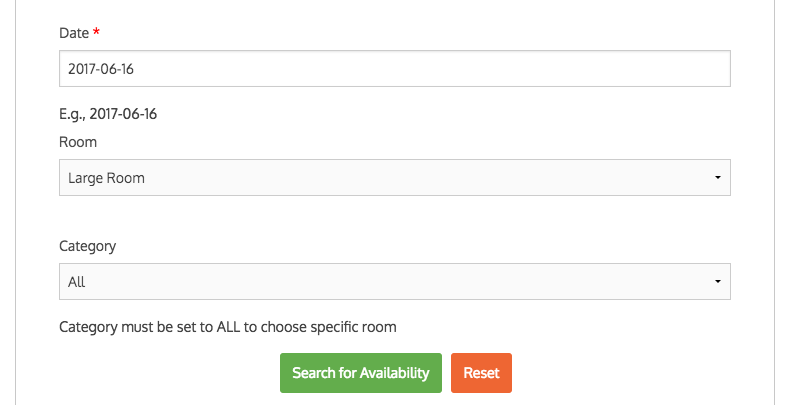 Categories can be used to tag rooms with a relevant label. 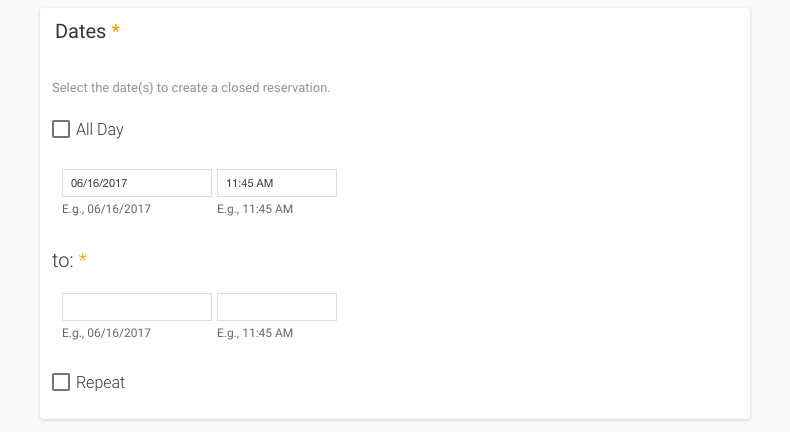 This allows users to quickly find a Room to book (as shown in the screenshot below). 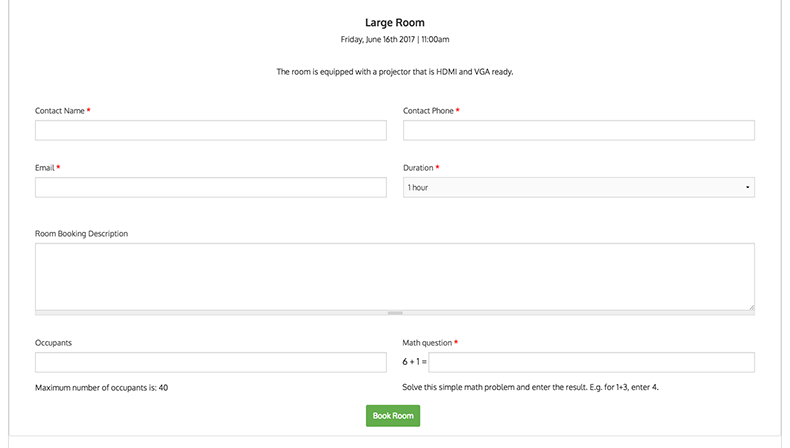 Example: Tag a room with Children, Labs, Project Rooms, Study Rooms, etc. These Category terms mimic most of the functionality of Filter Vocabularies.